On November 29, 1999, Ms. Zhang Guiqin was taken into police custody when she was doing chores at home. She was detained for 15 days for expressing her intention to continue practicing Falun Gong. While at Feidong Detention Center, guards discovered her practicing with other practitioners. As a result, a guard named Xuan first gave them a round of slaps on the face and then used a bamboo stick to hit their palms. He kept on beating them until their palms became purple and swollen. He also bound three practitioners together in foot shackles. Their feet were shackled together for the whole 15 days of detention. They had to eat, sleep, and go to the restroom together. 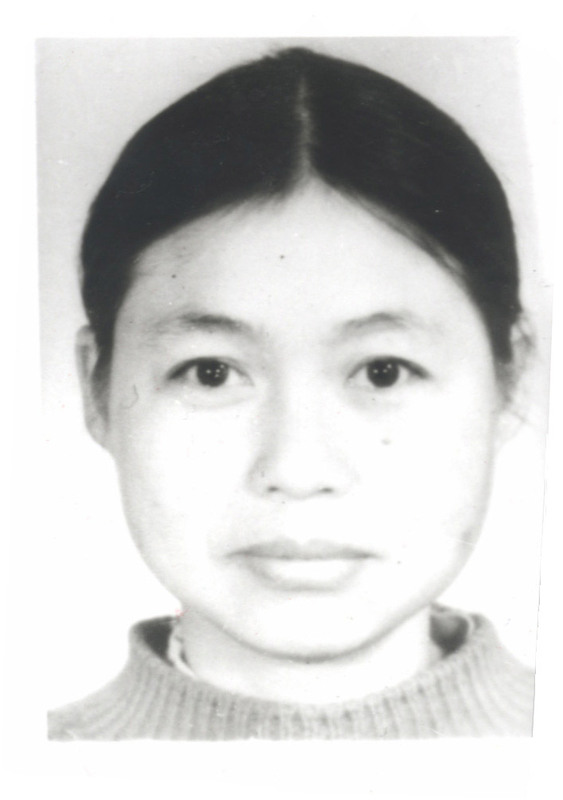 On March 29, 2000, Ms. Zhang was again detained in Feidong Detention Center. This time she was detained for 24 days because of peacefully appealing in Beijing for the right to freely practice Falun Gong. Each day she was forced to do hard labor for more than 11 hours. When she was found reading Falun Gong books with five other practitioners, the prison guards bound all of them together in foot shackles. Afterward, a prison guard named Wu started to kick them. Wang, the Head of the detention center, used an electric baton to shock them. Then he handcuffed their hands and feet together. Practitioners went on hunger strike to protest the torture. Doctor Cai of the detention center and six or seven male prison guards started to force-feed them through their noses. After a week of force-feeding, some practitioners started to show life-threatening signs. Concerned about her potential death, the guards in the detention center released Ms. Zhang. At the end of July 2000, Ms. Zhang was arrested for delivering new Falun Gong articles to other practitioners. She was once again sent to Feidong Detention Center and handcuffed in heavy leg irons. She and other practitioners started hunger strikes to protest prison guards kicking and beating them. The prison guards started to force-feed them again. After a prolonged hunger strike and forced feeding, Ms. Zhang became very weak. She also was running a high fever. The detention center officials sent her to the hospital for a check up. The doctor's diagnosis showed her lungs had been punctured due to the force-feeding. Fearful that she would die in the detention center, they sent her home on August 24 as an infectious disease patient. Ms. Zhang became so weak and thin after she was sent home that she couldn't get out of bed. She also had great difficulty talking. Even so, the House of the Prosecutor brought an accusation against her and the judge sent a clerk to Ms. Zhang's home to investigate her. After taking a look at Ms. Zhang, however, the clerk went away shaking his head. Ms. Zhang's case was not further investigated because she was clearly near death. On January 17, 2001, at 1:03 p.m., Ms. Zhang passed away. She had endured inhuman tortures in Feidong Detention Center and five additional months of pain and torment as an invalid in bed before she passed away. She left two daughters behind. One is 12 years old and the other is 9 years old.